WISKA is an independent, family-owned company, founded 1919, located in Kaltenkirchen near Hamburg. With over a hundred employees we develop and produce electrical installation products for an international clientele. 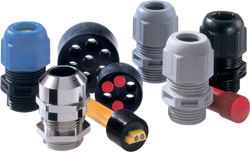 WISKA INDUSTRY EX comprises a complete range of high-quality cable glands for different types of explosion protection. SPRINT ATEX cable glands are part of WISKA’s innovative ‘SPRINT System’. These IP 68 brass, stainless steel and plastic cable glands provide a first-class seal, and are extremely versatile to work with because they can be combined with special sealing inserts. All metal cable glands are also available for EMC requirements. 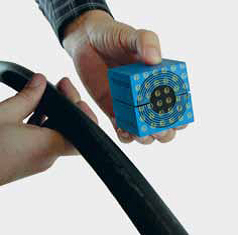 WISKA’s programme of EX adaptors makes installation more flexible, even in explosion endangered areas. Enlargement and reduction adaptors as well as adaptors for different types of threads make it possible to use one size of cable gland for different holes. The Roxtec Ex cable sealing system is certified according to the ATEX directive and the IECEx, International Certification Scheme, for use in areas where explosive atmospheres are likely to occur. 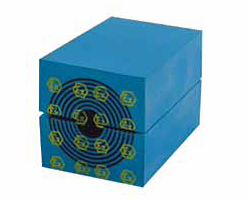 Our Ex e products are designed to prevent ignition of explosive atmospheres. Elimination of the explosive atmosphere around the source of ignition. Elimination of the source of ignition. Substitute with a non-flammable substance. An explosive atmosphere is defined as a mixture of air and a flammable substance in the form of gases, vapors, mists, dusts or fibers, in which, after ignition, combustion spreads throughout the entire unconsumed mixture. Potential sources of ignition include hot surfaces, electrical sparks, open flames and mechanical friction. Copyright © 2003-2014 Milrail Inc - All rights reserved.